Last time I discussed about a T-shirt and apparels designing platform in an article, Teespring review. However, I thought why not share tips from a seasoned Teespring campaigner who managed to become an online success and went on to leave her full time job to sell t-shirts online. I’m talking about Alison Scott. Coming from UK (Walthamstow, East London), Alison, formerly a civil servant working in the Department of Work and Pensions, went on to leave her job only to focus establishing her online business full time. Of course, the t-shirt designing business wasn’t the first endeavor. Just like other successful entrepreneurs Alison Scott had to go through few failures as well and after few trial and errors the t-shirt designing business eventually clicked. 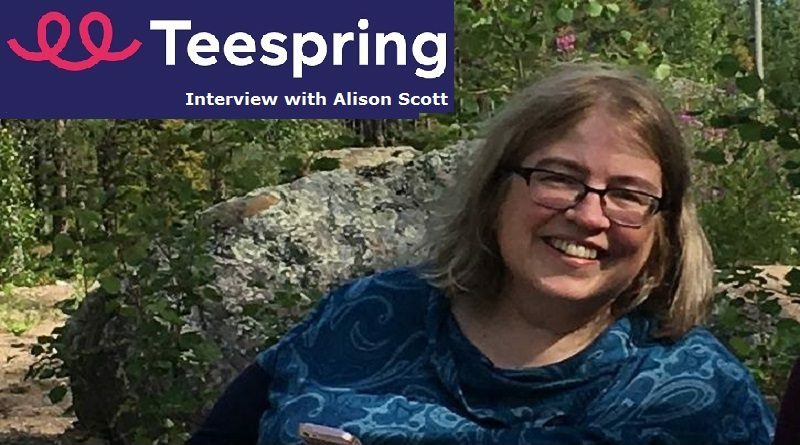 The tipping point, as per Alison Scott herself was when when one of her Facebook ads scaled which made her realize the power of this Teespring. Later, her t-shirt in Christmas niche became a success. I had a privilege of interviewing Alison Scott for the The Usual Stuff. 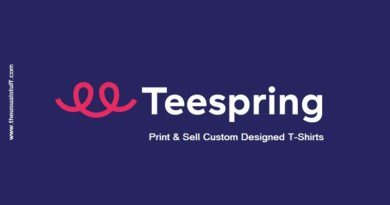 So keep reading below as Alison shares some valuable insights, experience and tips to become a Teespring success. Q1: Hi Alison, first of all thanks for appearing in this interview. It means a lot and I really appreciate it. So, how are you doing? Thanks so much for inviting me! I’m doing great, just waiting for Q4 to really take off. 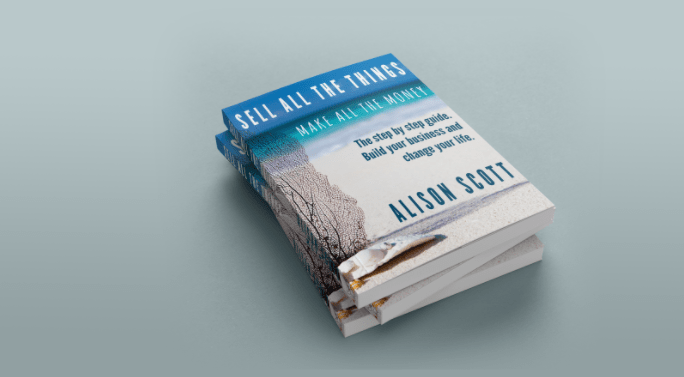 I’m working on a book – tentatively called “Sell All the Things, Make All the Money” which has a website at http://sellallthethings.online and a Facebook group (https://www.facebook.com/groups/128930791077189/) Everyone’s welcome to come along and provide or pick up tips. And group members are going to be the first to get to read the book when it’s done too. Q2: Tell us about yourself, your background. Especially in (Textile or graphics) designing. I used to have a rather boring but well-paid day job, and like a lot of people in their mid-40s, I parted company with it a few years ago. Rather than get another similar one, I stuck my redundancy in savings, tightened my belt, and tried out various different things. The shirt game was the one that stuck. I’ve done a bit of Photoshop first as a hobby and then semi-professionally. I was involved in a science fiction fanzine – Plokta – which won the Hugo Award and which was noted for, amongst other things, very silly Photoshopped covers which my mates and I did. I learnt a ton about typography, layout and design doing those covers, and I still occasionally recycle an idea from one into a shirt. You could never buy Plokta, it was available only for love or trades, so we were a lot less worried about messing with people’s IP then. Illustrator was new to me though. I’d be the first to say you don’t need to be a professional designer to make shirts, but you do need to be prepared to learn. Not all the design rules for shirts are like other design rules you might have seen, and nobody’s really writing them down. From the boring day job I learnt how to control costs, how to make realistic financial assumptions, how to store lots of data in super dodgy spreadsheets, how to write super quickly, and how to work when you really don’t feel like it. All those things are at least as important as design for this business. Q3: How did you come to know about Teespring? 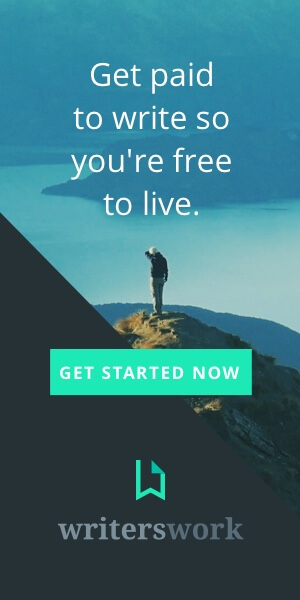 What compelled you to give this website a shot? I’d arranged event t-shirts using Fabrily (the predecessor to Teespring Europe) at the suggestion of a friend. Teespring is brilliant for event shirts because you do not end up with a shed full of t-shirts in odd sizes after the event. My husband then asked me for a shirt for a club he was involved in, and while uploading that I saw that they were encouraging people to try ugly Christmas sweater designs, so I thought I’d have a go at one. Q4: Did you have any former experience with T-shirts designing before starting with Teespring? I designed a shirt for my high school math club when I was 14! It was awful. Otherwise, not really, only that one event shirt. But I’d looked at a lot of shirts and paid attention. I mean, if you look at shirts and think ‘that’s a good shirt, that’s a rubbish shirt’, you’re well on the way. Q5: When you were getting started with Teespring, did you know that you would make it that big? There were two stages. First, I thought it would be a bit of fun, and might make some money. It was when, six months later, I had a really profitable shirt, I wondered whether it would be possible to do it as a full time business, and did some costings. I don’t think I’ve made it ‘that big’ yet. I’ve had a couple of really successful shirts, and my 2016/17 earnings were solid (about an average UK wage). But I’d like to at least match my old salary in my high-powered stressful job, and I’m not there yet. It’s great to have an occasional shirt that sells thousands, but it’s like having a hit single – if it’s a one-hit wonder that’s not a career. Q6: What targets did you set for yourself when started designing T-shirts? Did you even have any clear well-thought out plan or everything happened randomly? See above; it started a bit haphazardly in that friends would ask for a shirt and I’d make it, but then I got very focused in terms of financial planning. I’m still not rich! But the business has targets, and so far I’ve hit them. This year’s my second Q4 though, so until January I won’t really know if the business will work out long term. I’ve never been focused in terms of ‘what niches I’ll make shirts for and when’, but I had (and have) a clear intention to do some art nearly every day, and upload new designs on as many days as possible. And although I work quite haphazardly, I quote Picasso – “inspiration strikes, but it has to find you working”. You do have to put the hours in. Q7: We all know that landing the first customer/client or making the first sale is always the hardest. 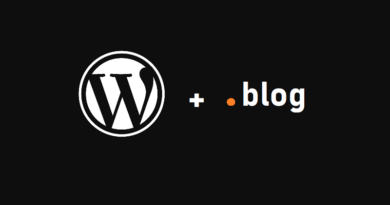 So how did you make your first sale? Was it difficult to achieve? 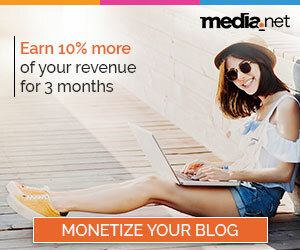 Did you spend anything on advertising before you made your first sale? My first shirt was an event t-shirt – I was one of the organisers – so that’s a very easy sale! It was a good shirt though and we sold about a hundred of them. I didn’t make any money from that at all. And my next shirt was for a club my husband’s in, so I didn’t make any money from that either. But my shirt after that was deliberately commercial – a ‘Christmas jumper’ sweatshirt targeted at people who play the same unusual musical instrument as I do. I spent a whole weekend designing it (don’t do that), and then I advertised it extensively by word of mouth and a little bit with paid ads. In all I did about 80 hours work and made about £80 profit. So I just reckoned the chances of making proper money were small, and for six months I just made the odd shirt when people suggested one and made pocket money. It was only after I made a shirt that sold hundreds I revisited it. Q8: For the newcomers, is the t-shirt designing niche too saturated or does it still have some traction for them? There are 7 billion people on Earth and most of them wear t-shirts. It’s not a niche. There are certainly oversold hobbies and professions, but if you keep away from those there’s plenty of scope to make money. Q9: Since Teespring provides you with a rich platform to design t-shirts do you think that people should hire services of a professional designer to do the designing for them? I don’t use the Teespring designer. I know it exists and people have used it successfully to make winning shirts. I mostly design myself in Adobe Illustrator, I use Photoshop a bit, and I hire a designer occasionally. (Normally when someone requests a design that’s a bit hard for me to do). I’m expecting to outsource more next year to increase volume. Q10: Talking about your experience, which niche performs best in T-shirt business? Most of my money has been made in political niches but it depends on the seller. If you’re a seller, the niche that will work for you is the one where you understand the needs of people in that niche well enough that you can make better shirts than are out there already. Because most aspiring sellers aren’t professional designers, that means that you need to pick something you really understand. Q11: How should aspiring t-shirt designers choose their niche? Pick something you really understand – eg a hobby you love – that doesn’t have very many good shirts already. I talk about the ‘blanking’ shirt – “Keep Calm and Carry on Blanking”, “Eat, Sleep, Blank, Repeat”, “I’d rather be blanking”. If your hobby only has shirts like this, you’re good. Find slogans and ideas that are actually about your hobby, and make those shirts instead. Q12: How many designs do you come up with in a day/week/month? I make notes for designs all the time; in terms of uploaded designs it’s probably somewhere between 1-2 a day on average. I do a few a week that involve a fair bit of development or design work, and the rest will be variations, quick ‘words on shirts’ designs, and so on. Q13: Your golden rule of marketing and promotion? Don’t spend money you don’t have. Start promoting organically; once you’ve sold a few shirts you have a better idea of what sells, and you have a little profit you can use to fund ads. But gambling is stupid. The successful entrepreneurs who say ‘you have to spend money to make money’ or who got lots of venture capital and made millions are the tip of the iceberg. For every one you read about, there are dozens who lost a load of money and went into debt following their dream. Look instead at businesses that grow organically, that only borrow against realistic plans, that hold their equity, and that are focused on making the best things they can rather than the most money they can. Q14: How much time do you spend daily on your Teespring business? Is it different from what you used to spend initially? I’m on several platforms, not just Teespring. It’s my full-time job, so I’m probably spending somewhere between 40 and 50 hours per week on it. I have days where I work all day from early morning till bedtime, and days when I do hardly anything. It’s very rare for me to have a day when I do no work at all though. Q15: If you divide your time on different activities, which one takes the most and which one requires the least amount of your time? It’s very variable! And there’s a lot more possible work than I have time to do, so unless I’ve got something urgent going on I’ll just do what I fancy. So today I’ve filled and posted an Etsy order, tidied up my study and Etsy store, spent some time on Facebook groups, planned out new shirts for today, set up two new tote bags on Etsy (my first Etsy tote bags), put two new shirts on Merch (one reload, one foreign language shirt), put a shirt from last week onto Teespring and pointed the pal who said he’d buy one at it, filled in this interview, and arranged a trip to see Bladerunner 2049 at Britain’s biggest cinema screen on Thursday. Q16: What marketing advice do you have for the newcomers out there? How much should they spend on marketing? What advertising medium works best for this business? Start off by finding a niche you can find the people in, so a hobby that’s got facebook forums and groups is ideal. If it doesn’t have many shirts already then you should be able to politely message admins of those groups and make sure it’s ok to post about the shirt (just once) in the forum. Some groups even say it’s ok. Don’t spam, be brief, and follow up queries and comments, especially ones that say ‘oh, what I really need is a shirt saying ___________’. Make all of those, unless it violates someone’s IP. Once you’ve sold a few shirts, you will know what shirts sell, and who they sell to. You can then start paid advertising with your profits. The only properly profitable paid advertising I’ve run is Facebook/Instagram. I’ve also done a bit of reddit, but I don’t think it’s ever paid off. Q17: What’s your pricing strategy? How do you decide to price your items? I mostly use Teespring’s recommended pricing, though sometimes that’s a bit out of whack so I do tinker with pricing by hand a bit. I try to ensure I’ll get a reasonable profit even if they take a marketing fee (that’s $6.75) – and I use that marketing fee as a rough guide to what’s reasonable to acquire a sale too. Q18: Since you have to meet your target to claim the funds that you got from your customers, do you think that Teespring users should set the target as minimum as possible or rather be “brave” about it? Always set goal of one, and always make sure your designs are uploaded in sufficient quality to have a goal of one. The ‘campaign’ settings are from the days when Teespring was a screen printer. The vast majority of campaigns are printed using direct to garment printing now. Q19: Other than Teespring’s store, do you have any other eCommerce store as well? I have an Etsy shop – not mostly selling shirts, but pin button badges that I make myself with my shirt designs on them. I’ve just started selling Printful backed shirts and tote bags through that store. I am on Merch By Amazon, at the 100 tier and I have 97 shirts there at present. I’m hoping to tier up to 500 before Christmas! Q20: What improvements do you suggest Teespring to incorporate in their website/platform to make it more attractive for its users? I’m a Teespring Ambassador now, so I try to tell Teespring these things directly. But in their Teespring News group on Facebook, and in the forum on the website, you can see the sorts of things that people complain about. Personally my number one ask is that they bring back lifestyle mockups and introduce flat item mockups, and only a little behind that is hoping they make it easier for customers to search our shopfronts. Q21: In retrospect, if you have to start from scratch, what would you do differently? People would love to know about the mistakes that you did in this business. My first big winner sold about 200 shirts and I made a profit of about £2 per shirt. If I’d known then what I know now about marketing on FB it would have sold thousands of shirts at greater profit per shirt! I was incredibly cautious about the advertising even though it was obviously a strong seller, and I didn’t do variations fast enough. My second really successful shirt was at Christmas and I’d got the hang of all that by then. That first shirt was also a Photoshop design not Illustrator. It makes it harder to adapt to other products. I made *that* mistake this year as well, where I deleted the original Illustrator file for my best selling design of 2017. So don’t do that! Learn to work in vectors as soon as possible, and keep your files tidy and organised. I didn’t jump on trends fast enough. In early June I thought about the possibility of making eclipse shirts, but there were lots already. I should have made shirts anyway! I left a lot of money on the table, as they say. I didn’t apply for Merch By Amazon as soon as I heard about it, and when I did get round to applying i didn’t do anything with my account for a little while. And finally, when I started I had some well dodgy shirts. One where I copied a celebrity shirt and sold quite a lot before thinking better of it.